Award season is in full swing in January. And one of the biggest predictors of the Oscar race is the SAG Awards. 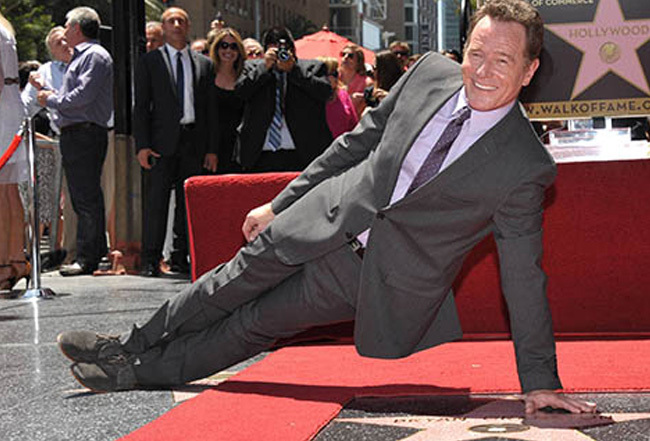 MediaMine’s archives feature dozens of SAG nominees including media from Bryan Cranston’s official Hollywood Walk of Fame star ceremony. This year Bryan Cranston is nominated for Best Actor in the TV Movie All the Way. The Walk of Fame collection also includes media for many of the other nominees — Meryl Streep, Jeff Bridges, Nicole Kidman, John Lithgow, Kevin Spacey, Winona Ryder, William H. Macy, Julia Louis-Dreyfus and Felicity Huffman. In addition to the Walk of Fame media, several of the nominees are part of MediaMine’s Reba Merrill collection including Denzel Washington, Meryl Streep, Hugh Grant and Nicole Kidman.